Susan thought she was having a heart attack when she experienced chest pain and shortness of breath, and so did the doctors. 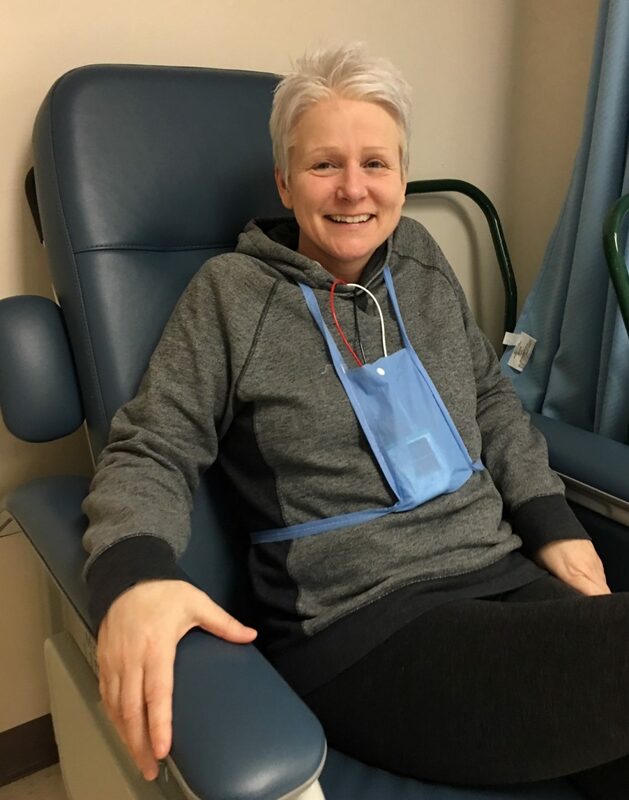 All of her tests mimicked the results of a heart attack, and so it was not until a cardiac catheterization revealed no blockage that the true cause of her distress was diagnosed. Susan had Takotsubo cardiomyopathy, also known as Broken Heart Syndrome. It is a rare and under-reasearched heart condition that is almost exclusive to women, and is usually caused by some kind of great stress. The condition is called Takotsubo cardiomyopathy because it causes the left ventricle to balloons out, creating a bulge that looks like a Japanese octopus trap called a Takotsubo. Susan said they kept her in the hospital for 4 days until they determined that it was safe to go home. Once home, she began to study Takotsubo cardiomyopathy and learned that a good next step would be cardiac rehab to make her heart stronger. So she researched cardiac rehab online, and asked her doctor for a referral. Susan has always led and active and healthy lifestyle, so most of her time in cardiac rehab is spent exercising under the experienced supervision of the cardiac rehab team, led by Ronn Franceschini, M.Ed.